Din 18 L# oral spray suitable for glass bottle. Dosage: 100mcl, 130mcl, 170mcl, 200mcl and 220mcl per spray. 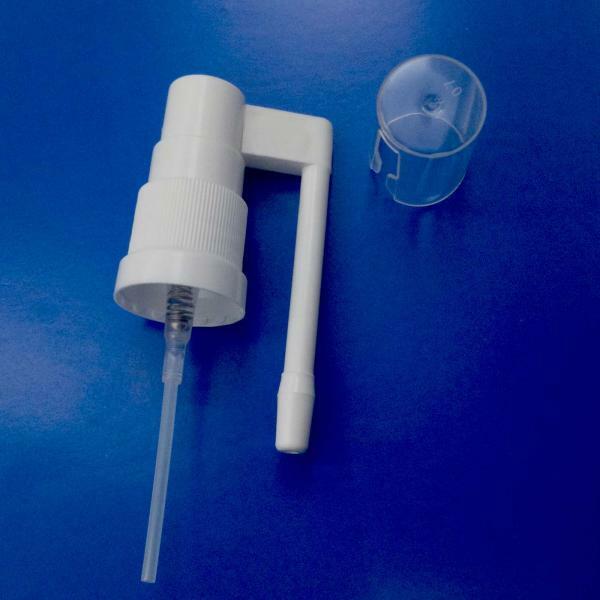 20/410 screw on throat spray, suitable for our 50ml, 60ml and 100ml HDPE liquid bottle, can be used for health care or OTC packing. 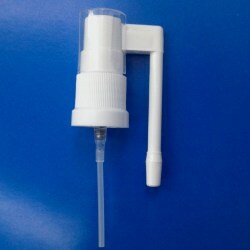 20mm crimp on dental spray with flixable actuator, for glass bottle or plastic bottle are available. 24/410 throat spray, white color.